My client wants a custom message following the customers order rather than the default message. After the customer completes the form and hits submit. He wants it to have a custom message of pretty good length ALSO incorporating an email address they can click. Is this possible? 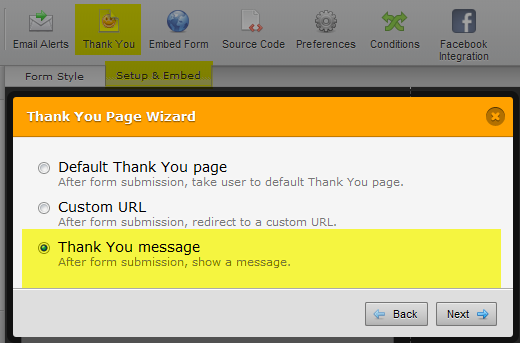 This is possible you can customize the thank you message that comes after the users click the submit button. To setup Customize the Thank you Message. Just follow the steps below. 3. Select Thank you Message on Pop-up screen and customize your thank you message. Let us know if you have further questions with that. Thank you so much!